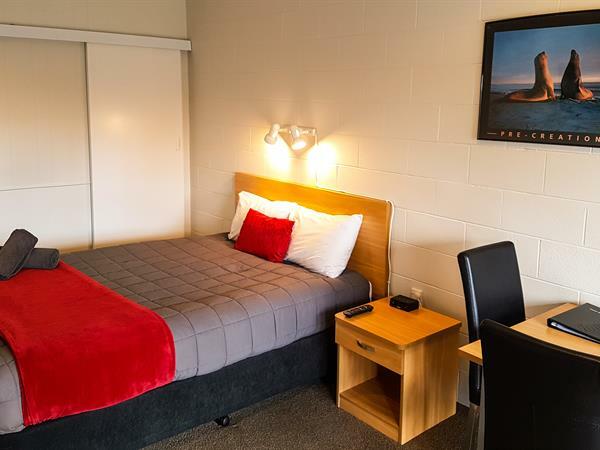 This Self-Contained Ensuite unit features a queen bed and a single bed in the living area with kitchenette facilities and free to air TV, as well as an en-suite bathroom. It has panel heaters to keep you warm over the chilly winter months. Beds are fully made up and towels provided.